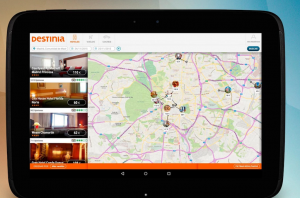 The online travel agency Destinia is using Glob3 Mobile SDK for mobile mapping in their tablet application. This library has been selected due to the performance on native way and flexibility for the integration on Destinia’s development. You can see Glob3 Mobile in action on Google Play and Apple Store.